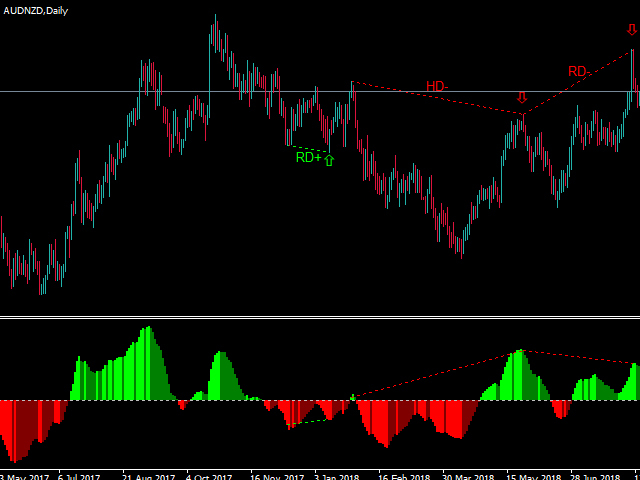 Using divergences is very common in trading strategies. 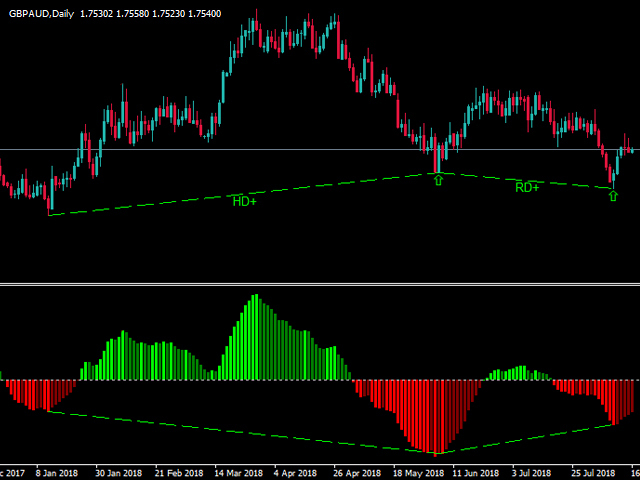 But finding opportunities for trading with the eyes is very difficult and sometimes we lose those opportunities. 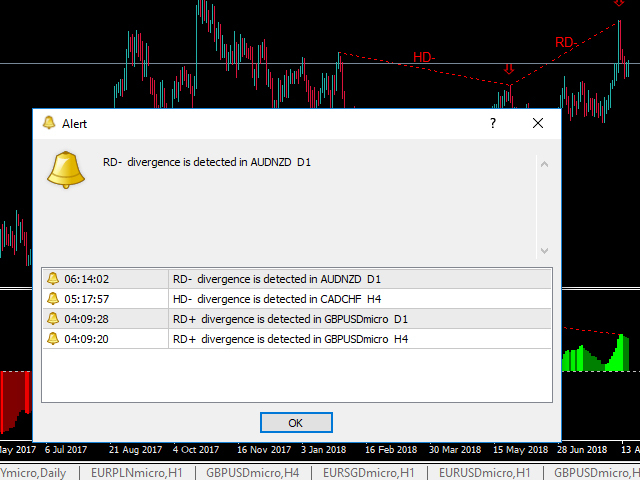 It uses an advanced method to specify divergence. You can change colors as you like. 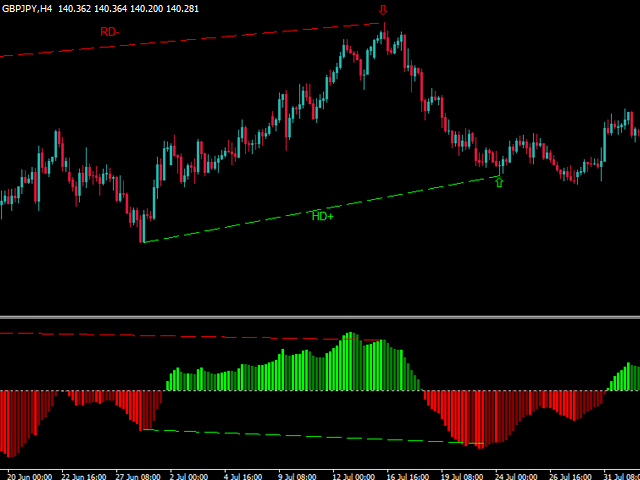 Indicator detects price pivots and checks the corresponding value of pivots on MACD(12,26,9) indicator. 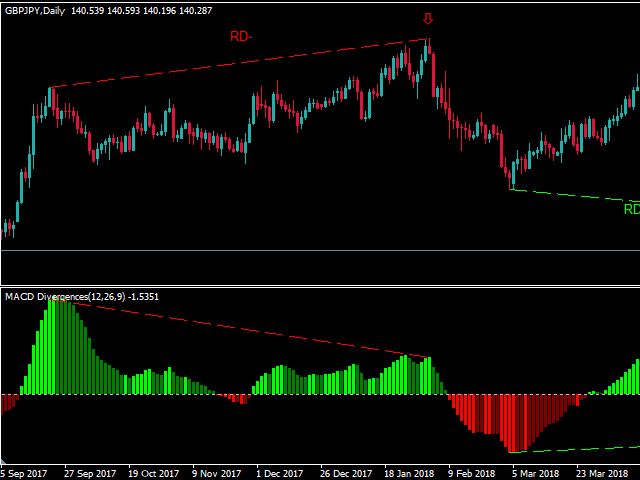 How to test the MACD Divergences indicator? 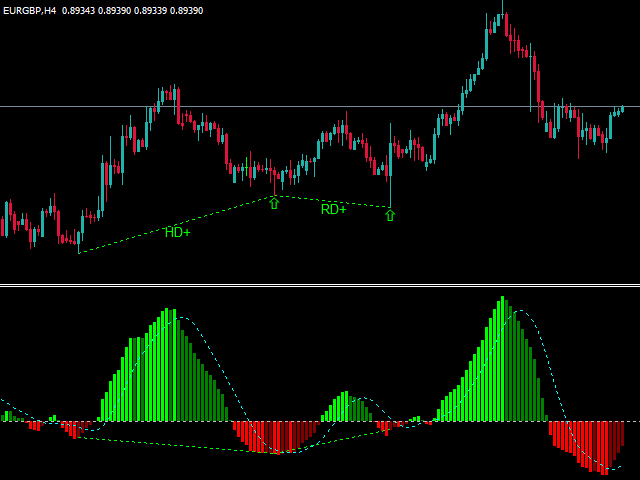 If you want to test the indicator, download the demo version, that is free and fully functional for EURAUD. Perfect Indicator, It's really admirable. Simple and efficient. 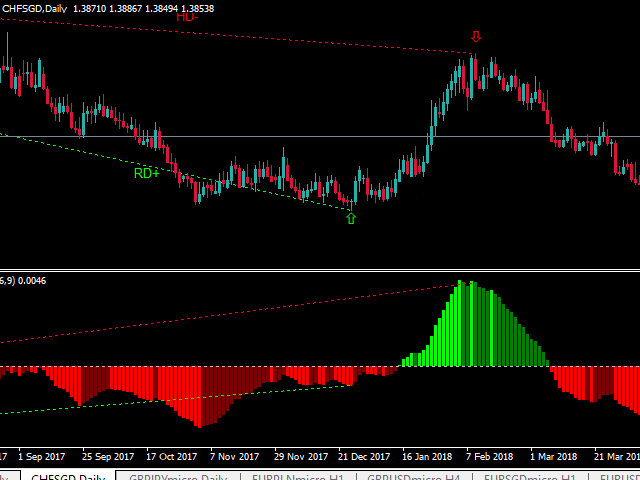 I have not used divergences in my trades before, But now it's my first plan for trading and I am very pleased. 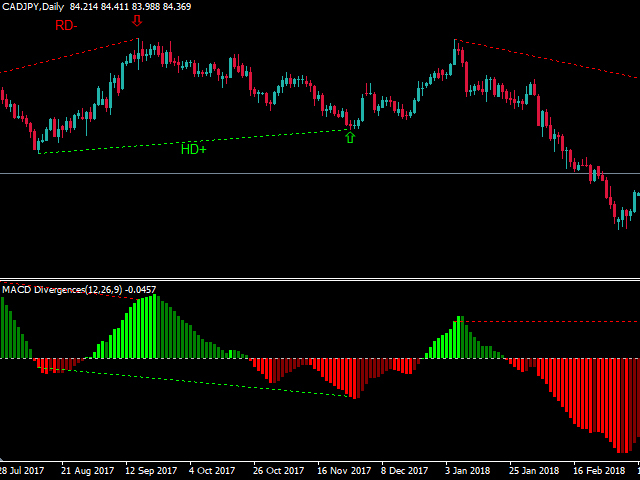 It's a good indicator to point out MACD divergence. 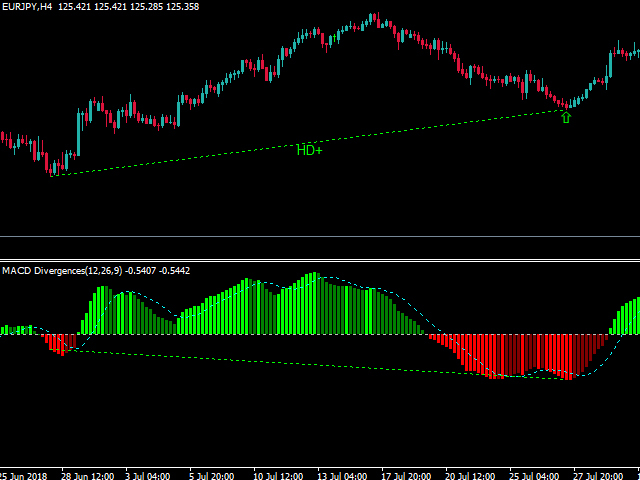 Stochastic filter added to filter some weak divergences. The detection algorithm is optimized. The user can send the custom text in the notification. Add some options to control alert and push notification. The detection algorithm has been upgraded. The graphical interface has been upgraded. Sending push notification capability added. The reaction speed to market changes, improved. Performance improved. Some bugs resolved. 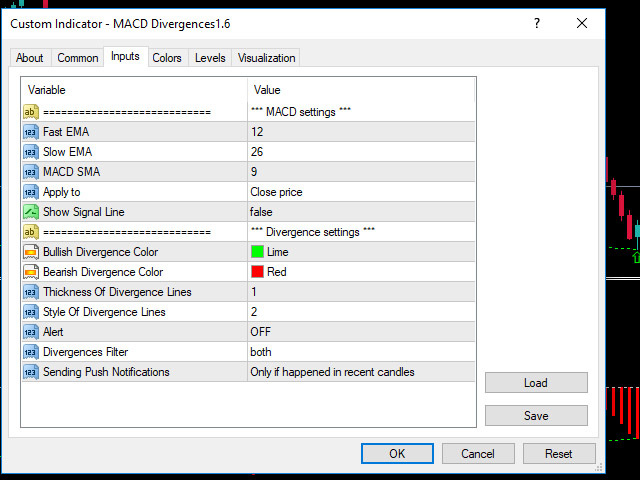 User can filter divergent types (show regular divergence or hidden, or both).